The gray peanut simulates breathing, letting you pretend you're in bed with a loved one. We're all having trouble sleeping, and at least one group of researchers in the Netherlands believes it's because we're not cuddling enough. 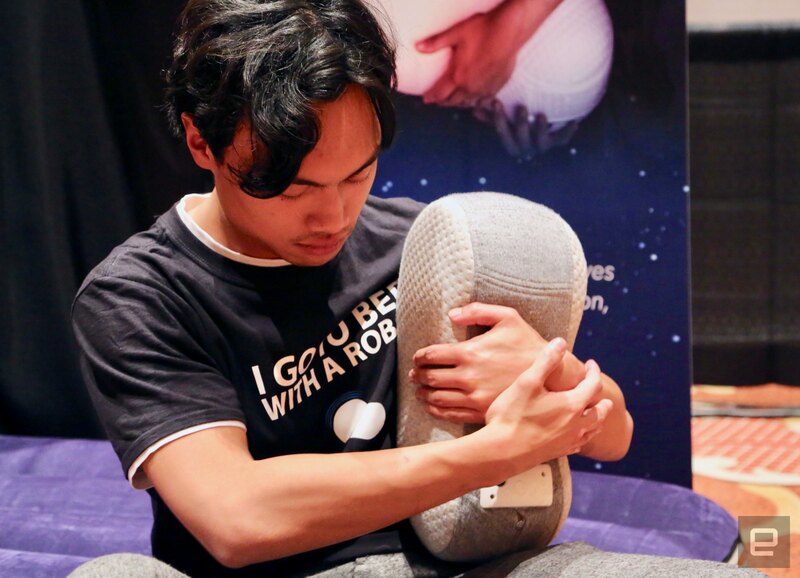 That's the thinking behind Somnox, a breathing robot that's designed to nestle in your arms and make you think that you've got a special friend over. At the same time, the unit will offer up soothing sounds, like a heartbeat, lullabies or nature sounds, depending on your preferences. And, it's entirely possible that you'll form an attachment to the giant gray McNugget. 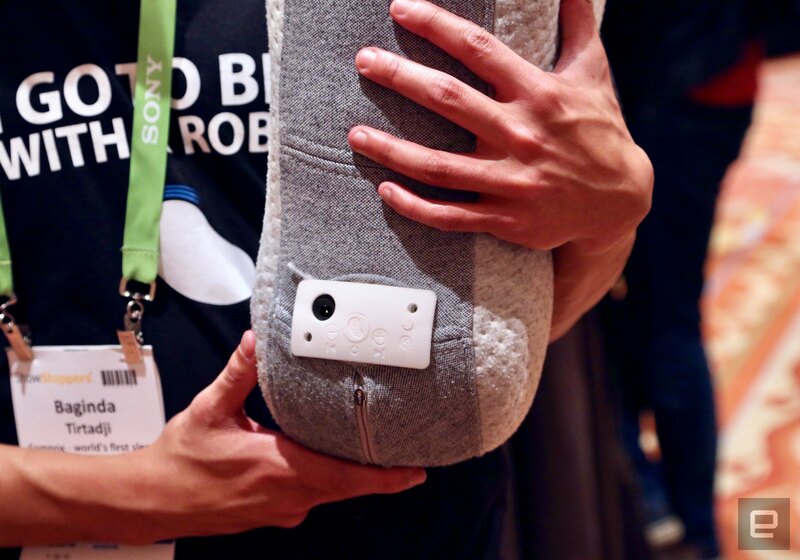 The device is also stuffed full of sensors that have yet to be activated, but it's thought that the system will eventually offer sleep tracking as well. When that information is crunched by the Somnox servers, it's plausible that you'll be given insights on how to sleep better than you would otherwise. And the thinking is that what everyone has been missing all these years is to cuddle up with a loved one or pet. Although finding a loved one might be cheaper, because the device has a retail price of $550 without any early-backer discount. The company believes that while the initial price is high, it'll pale in comparison with the cost of sleepless nights. The Somnox Smart Sleep Robot is available to preorder on Indiegogo, with initial Kickstarter backers expected to receive their units in July, while Indiegogo purchases will be here in September.